The drop will occur on Wednesday 7/9 at 12pm pacific time. 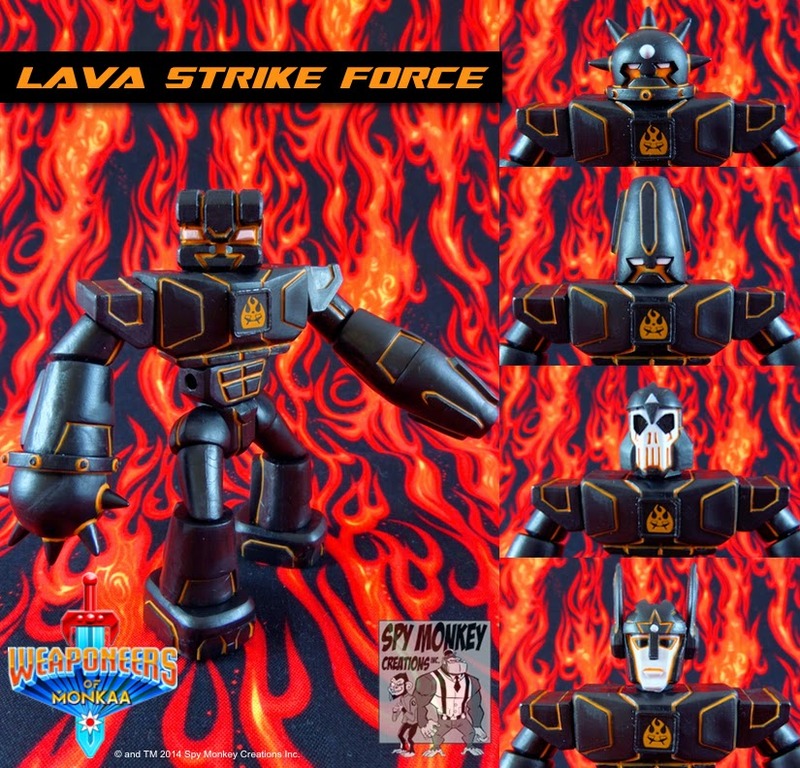 This exciting release includes figures and accessory packs as featured in the upcoming "LAVA STRIKE FORCE" storyline and will be available at the Spy Monkey Creations Store! This is a deluxe Weaponeer figure featuring additional paint details, a full set of bonus heads, sword, sickle and a full Close Combat Armory! Each figure includes 45 Glyos System Compatible parts molded in Black and a new Translucent Neon Orange PVC. This is a standard Weaponeer figure with additional paint details. It includes a full set of bonus heads and sword and sickle accessories. Each figure includes 31 Glyos System Compatible Black PVC parts. 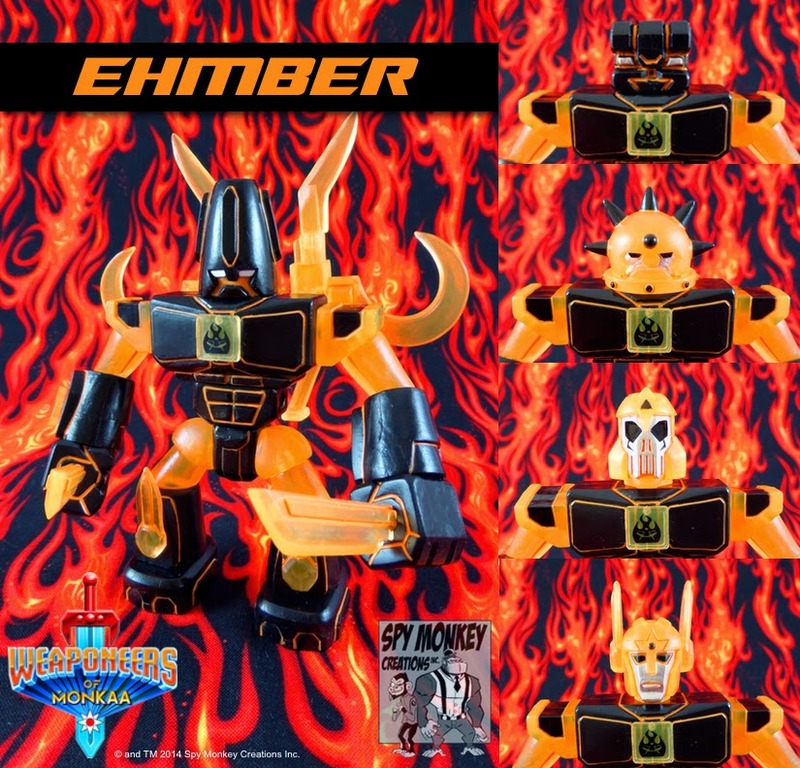 This figure was originally planned for a very special mini-drop that eventually led to the creation of the characters Fyreball & Ehmber. These are in VERY LIMITED QUANTITIES. This standard Weaponeer figure includes a full set of bonus heads and sword and sickle accessories. 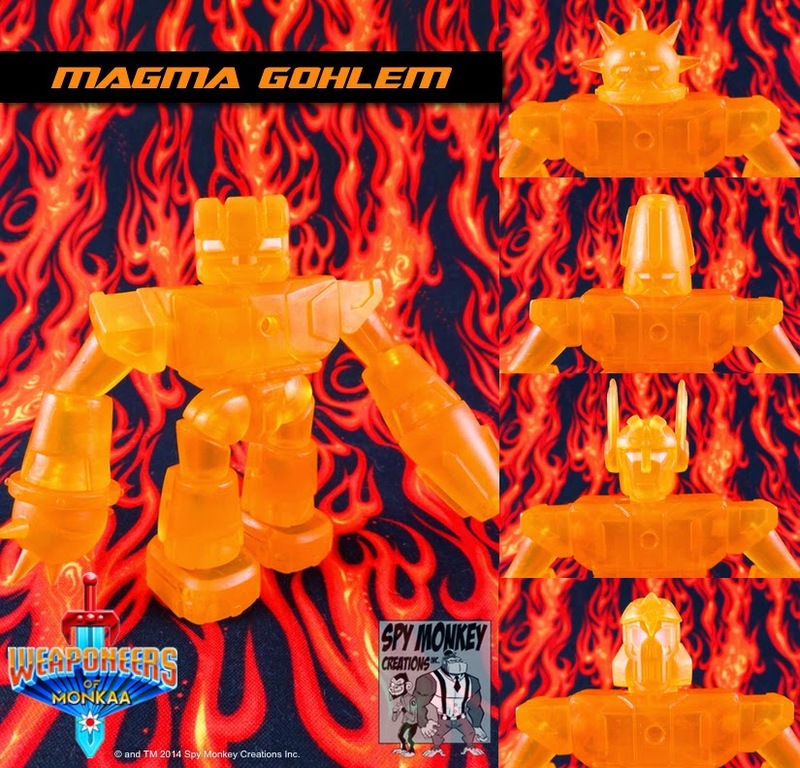 Each figure includes 31 Glyos System Compatible Translucent Orange PVC parts. These are from our original run of 1st wave figures! 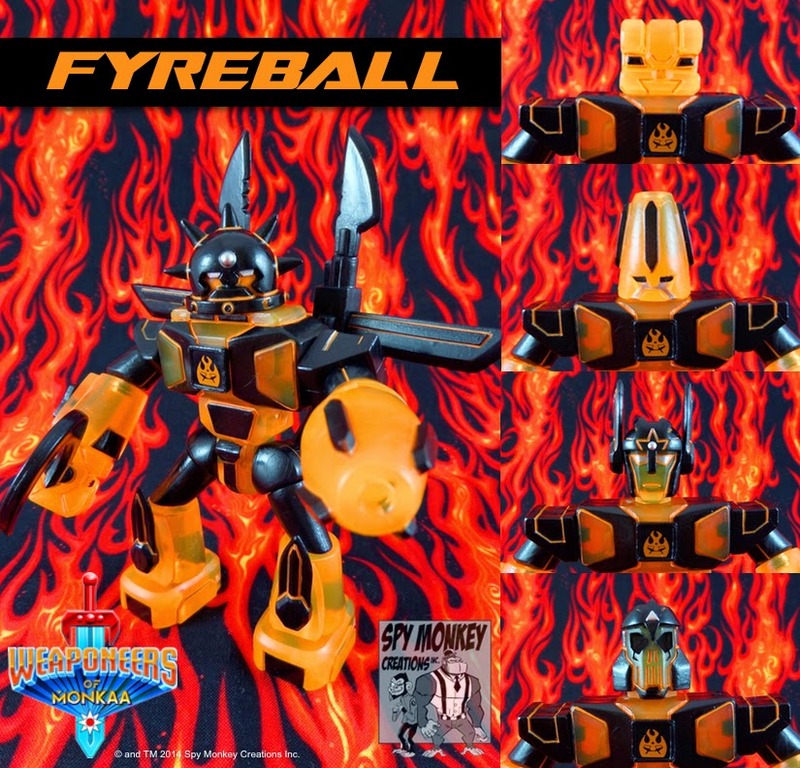 They were held in order to coincide with the special Lava Strike Force mini-drop that eventually led to the creation of Fyreball & Ehmber. These are in VERY LIMITED QUANTITIES. Photos by Matt Stein, the inspiration for Fyreball and his friends.